Over the bank holiday I had some time in the evening to watch a coupe of watercolour videos. 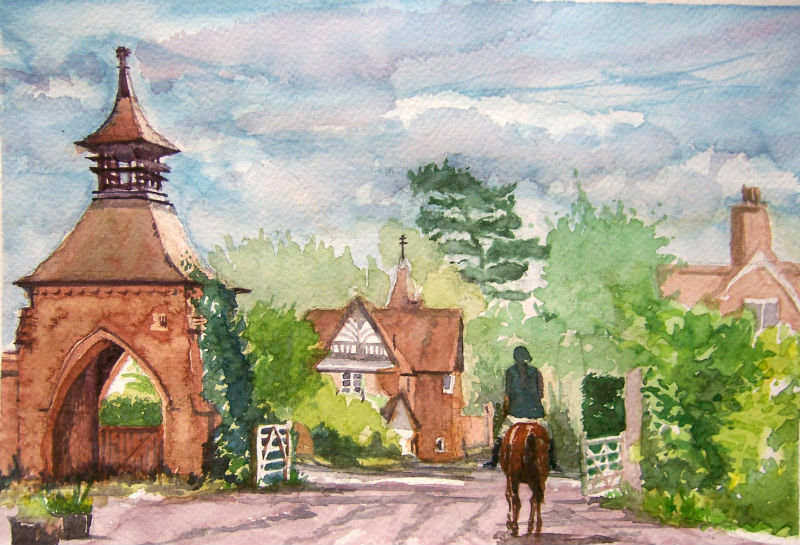 I liked the Tom Wilmot instructions and I gave one a try on a trip to some stables in Surrey. 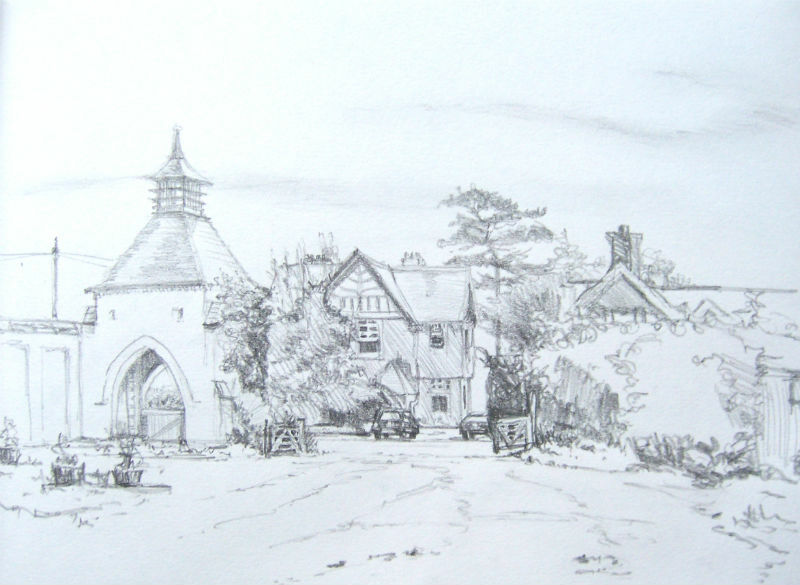 They have an old dovecote in the grounds and I was able to spend 90 minutes sketching and painting. I did spend more time drawing the buildings that the Tom instructions, as i wanted to get the dimensions correct. I’m using a modified technique with a compass. I measure the mark on my drawing with a compass and then hold it up to the same place on the building. Keeping my arms at the same distance I move to another part of the building and adjust the compass to the new dimension. This is now the exact size I need for my drawing. The compass lead allows me to mark the paper and if the same dimension is needed on another place I can use it again. Neat. And I think it works. I only do this a couple of times then I can work normally. I went too busy with the sky, trying to emulate TW video, not the best. A great start! However, as this was a trial I pressed on. TW’s style is more impressionistic and is quite loose. I’ve added a horse and rider for interest. They makes a square with the dovecote and also the riders head flows into the tree above, which curves over towards the dovecote. It was midday when I painted which did not help with the shadows. Would have been nicer to have them longer and darker. I need to think more about colours and get a balance in the picture.